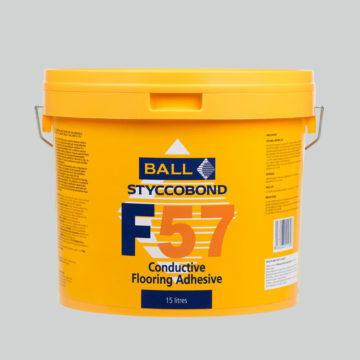 Solvent free, carbon fibre filled acrylic conductive adhesive designed to give a high bond strength, with a strong initial tack and long open time. Has good plasticiser resistance and is also protected against biodegradation. Suitable for application over normal underfloor heating installations.